The Turkish team were not able to acquire visas to China, including the express method, and will miss the event which had Turkish qualifiers for the first time in its history, after booking their place by beating Bursaspor Espor 2-0 in the Grand Finals. Açık elemeleri kazanıp Zowie eXTREMESLAND 2018 Asya turnuvasına gitmeye hak kazanan CS: GO takımımızın vize sorunları nedeniyle Çin’e gidemeyeceğini taraftarlarımıza üzülerek bildirmek isteriz. 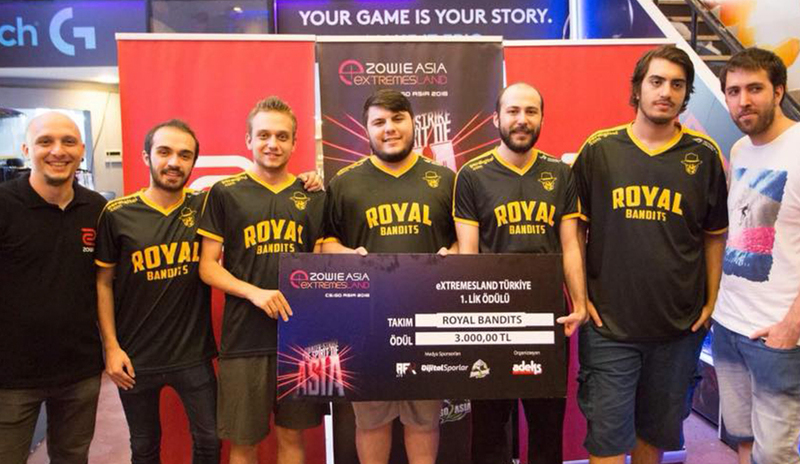 It is not the first time Turkish teams have had visa problems, with the most notable incident being the absence of Engin “ngiN” Kor in the FACEIT Major 2018, who was replaced by their coach Canpolat “hardstyle” Yıldıra. This led to the high flying Turkish side to crash out of the Challengers stage. This means that as of now, only 15 teams remain, with Group D having only BOOT-d[S], TNC and XCN. It remains to be seen if the Bandits are replaced to fill the full quota of 16.